Glenn was able to buy a shipment of the cover's/vests sets (no soft inserts, just the covers, when we have sets that include the soft kevlar inserts we list separately, accessories are sold here with and without soft kevlar inserts make your selection in the options menu). All the covers/vests sets are brand new, never used, never issued, never worn. All sets are USGI Issue, NOT copies. All pieces have NSN numbers, manufacturer information and contract numbers on them. Each cover/vest sets is for sale for $129.95 each. Limited supplies. Once gone/gone for GOOD! All cover's/vest's will be assembled, are new and will be ready for wear, use and/or turn in. Also available are some spare pieces shown here, check shopping cart for availability. The Improved Outer Tactical Vest, or IOTV, is an enhanced version of, and a replacement for, the older Outer Tactical Vest variant of the Interceptor body armor, as fielded by the United States Army. The IOTV is compatible with the Deltoid and Axillary Protector System (DAPS) components, E-SAPI (Enhanced Small Arms Protective Insert), Enhanced Side Ballistic Inserts (ESBI), as well as the OTV's groin protector. The OTV design was considered insufficient and lacking in certain areas, which led to the IOTV's development and fielding. The IOTV first saw action in combat with U.S. Army ground combat units in late 2007/early 2008, and currently remains the standard body armor type used by regular U.S. Army ground combat units overseas. 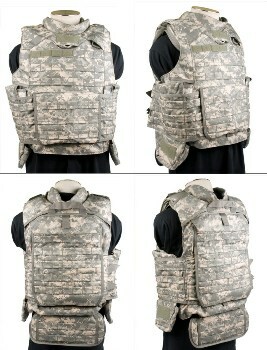 The new vest is more than 3 pounds lighter than its predecessor, but provides an equal level of protection over an increased area by eliminating overlap and changing design features like the vest’s cut in the arm pit area, adding an integrated throat protector instead of an attachable version, and adding integrated side plate carriers. That, plus an overhead instead of a front-opening design, decrease the vest’s profile Overall but extends its coverage by 52 square inches. Other IOTV features include a single-stage quick release added to the front of the vest that removes the vest in 2 pieces. This is very useful to medics, who can also use an opening on the left shoulder if maintaining protection is important. It’s even more useful to soldiers trapped in overturned or submerged vehicles, which has been a consistent issue in Iraq. An internal waistband moves more of the weight from the shoulders to the waist, long variants are now issued (surely a relief to the beanpole types), more MOLLE attachments for pouches etc. in front now that the opening isn’t up front, vertically adjustable pouches for the ceramic plates within the vest, vertically adjustable side plate carriers, mesh lining, and channels/storage for those ubiquitous cables. 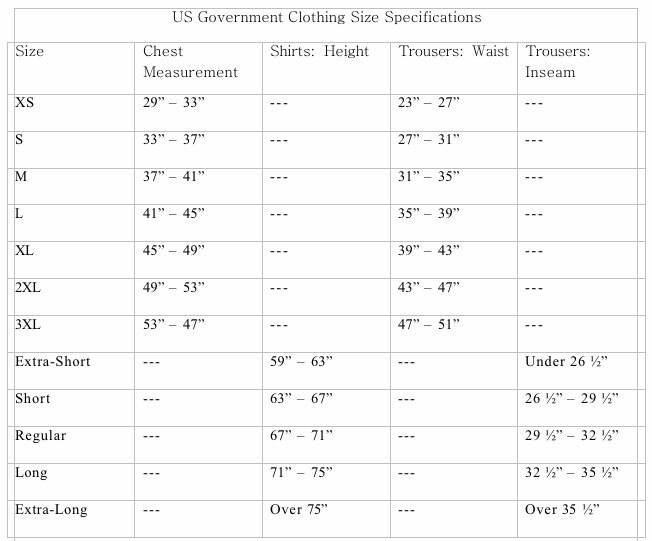 A size Medium IOTV weighs 3.6 pounds less than a Medium OTV vest, while providing more coverage. However, a fully equipped IOTV, complete with all its components (soft armor panel inserts, four ballistic plate inserts (front and back plates and two side plates), collar, and groin protectors) still weighs 30 pounds, with a Large IOTV weighing about 35 pounds. The functionality of the enhanced side ballistic inserts, which provide coverage under the arms and down the sides of the torso, is built-in to the IOTV. The IOTV provides the ability to don the vest in two ways. The first is to simply place the vest over the head and pull down, and the second is to remove fasteners on the wearer's left shoulder, sliding into the vest to the right. To complete the procedure for both methods the wearer then lifts up the front panel of the vest and fastens the waistband, which takes the weight of the vest off the shoulders somewhat, and then fastens the side protection modules. A key design feature for the IOTV is that the entire armor system is able to be released with the pull of a hidden lanyard. The armor then falls apart into its component pieces, providing a means for escape in case the wearer falls into water or becomes trapped in a hazardous environment. The hidden release lanyard also allows medical personnel easier access to the casualty, which was one concern that was not addressed with the old Interceptor armor. It also features a grid of PALS webbing on the front, back, and sides for the attachment of modular pouches and accessories.